New taxi app that pairs female drivers with female passengers registers 30,000 active users and 200 drivers in first month of operations in Buenos Aires. 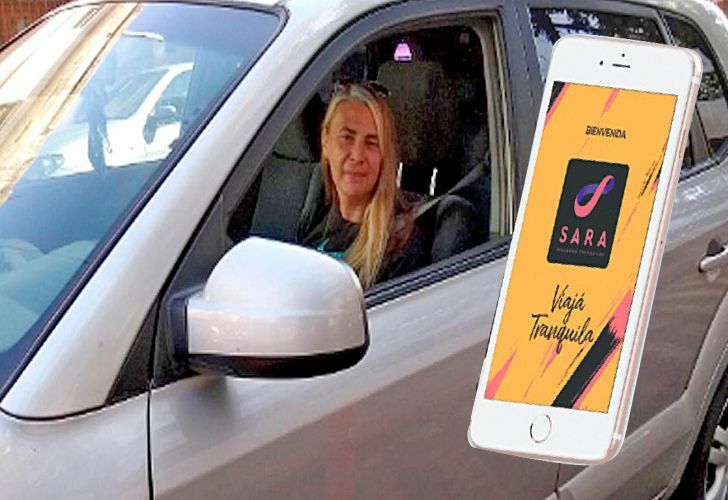 Sara LT, the first taxi transport app for women, has garnered more than 200 registered drivers and 30,000 active users in just over a month of operations in Buenos Aires. The app, which works exclusively with female drivers, pairing them with female customers, is offering women a new way to get around the capital quietly, comfortably and safely. The service is also providing invaluable new work opportunities for women in Argentina. "The premise is that all women have a right to be included when travelling, and this experience makes that possible," Facundo Denis, Sara LT's head of marketing, told Perfil in an interview last week. At present, the service must always be requested by a woman, although males can travel in a vehicle hailed by the app, as long as they are 16 years of age or younger. Patricia Diperna, 39, has made driving for Sara LT part of her daily routine – and her livelihood. "I saw it on Facebook,” she said, detailing how she came to hear of Sara LT. “I entered my information, they called me, and I became a driver for the service. I qualified my car as a remis, and from there I started to work." Diperna says that this has allowed her to combine her passion for driving, a flexible schedule, and even the possibility of meeting other people, taking kids to school and traveling the streets of the city. "Being among women, you have a special type of collaboration," she added. Sara LT only began operations on February 7, 2019. The company decided that Argentina would serve as its flagship location and Buenos Aires as its first city. From there, they plan to diversify the service and take it out to Córdoba, Mendoza and Rosario, as well as abroad to nations like Uruguay, Colombia and the United States. We started in Palermo – an area with a wide variety of places, a good economic level, and eating options – mainly to test the system," explained Denis. There is no upper age limit for those who want to become drivers for the service. Women from age 21 and up, who have gone through professional registration, can be part of Sara LT's workforce. The effect of such an open policy is positive to Sara LT's community, Denis explained. – To find out more on the app, visit www.saralt.com.